So it’s the new year and you’ve promised yourself you’re going to eat healthier. But you love Pizza. Yeah, me, too. Here’s the solution I’ve come up with: Chicken Pizza. No, the chicken doesn’t go on the pizza, it is the pizza, or rather, the pizza crust. You may want to beat the chicken breasts a little thinner to make it more like crust. I have made it both ways and it is delicious either way and it just depends on how much time I have to make dinner or if I’m starting out with frozen or not breasts. For the fresh basil leaves, you’ll need approximately two per breast, but depending on size of breasts and leaves you may need more/less. 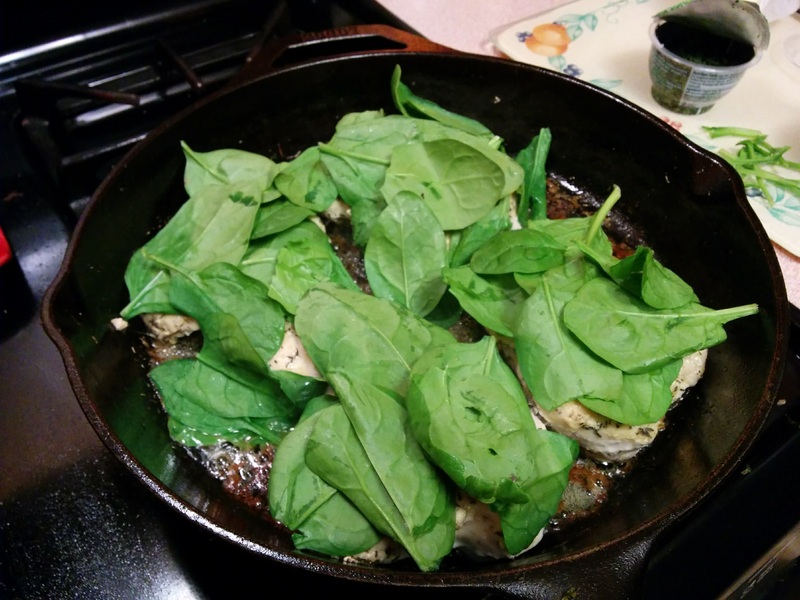 You can use fresh spinach if you don’t have basil. 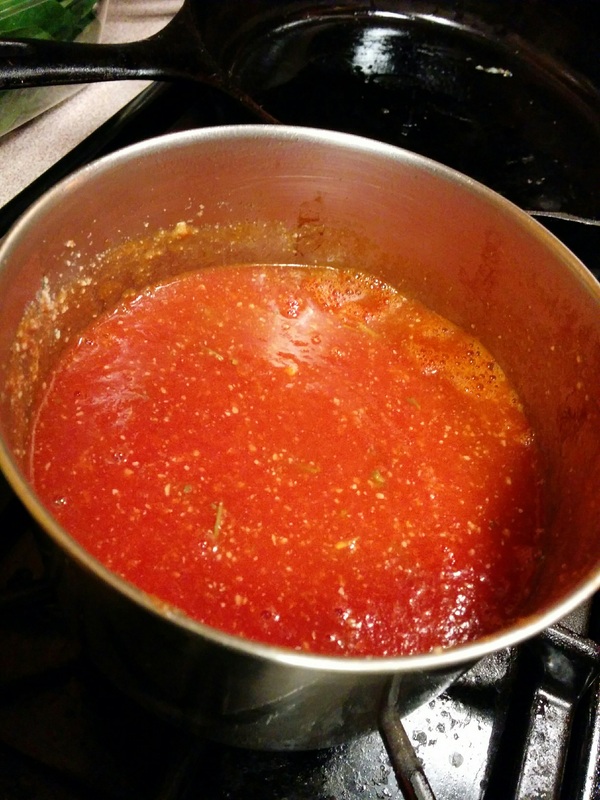 Homemade pizza sauce is easy and healthier. Preheat the oven to 400 degrees. 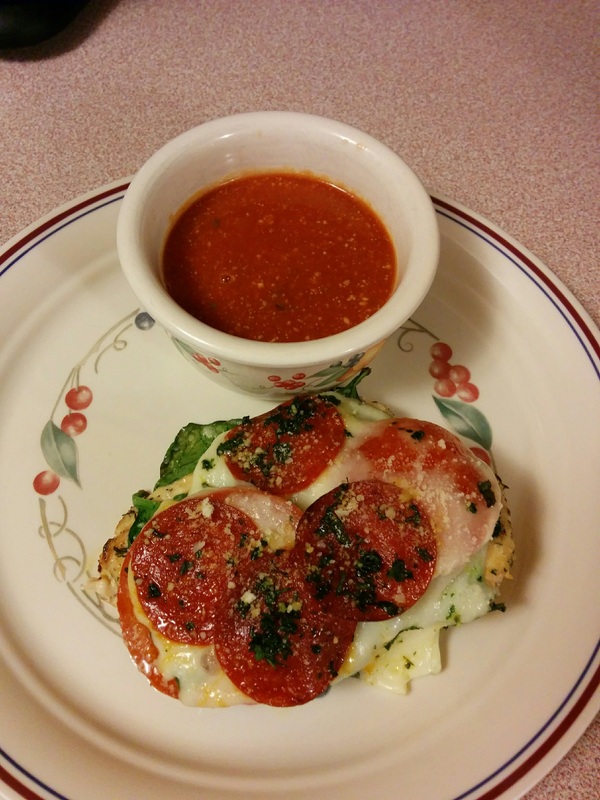 Slowly heat your pizza sauce on the stove on low. 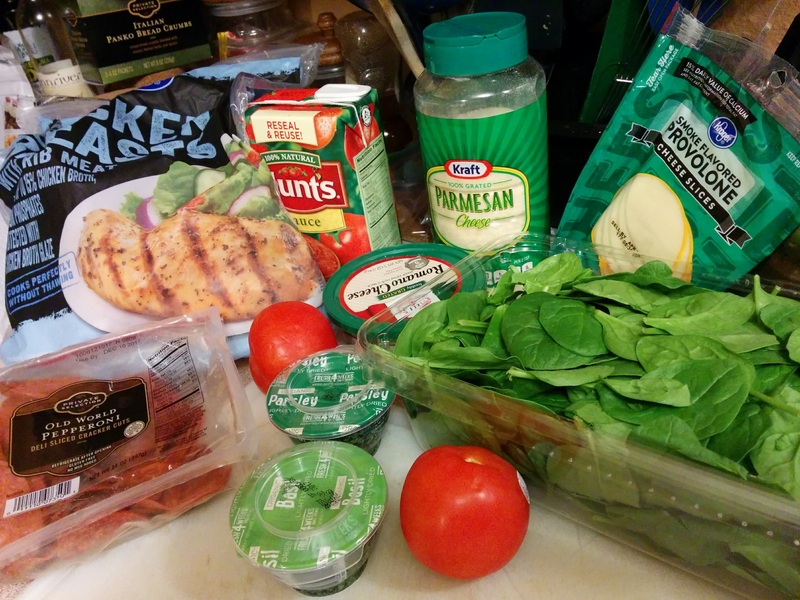 You will use this like a marinara sauce for dipping as well as to put on top of the chicken. 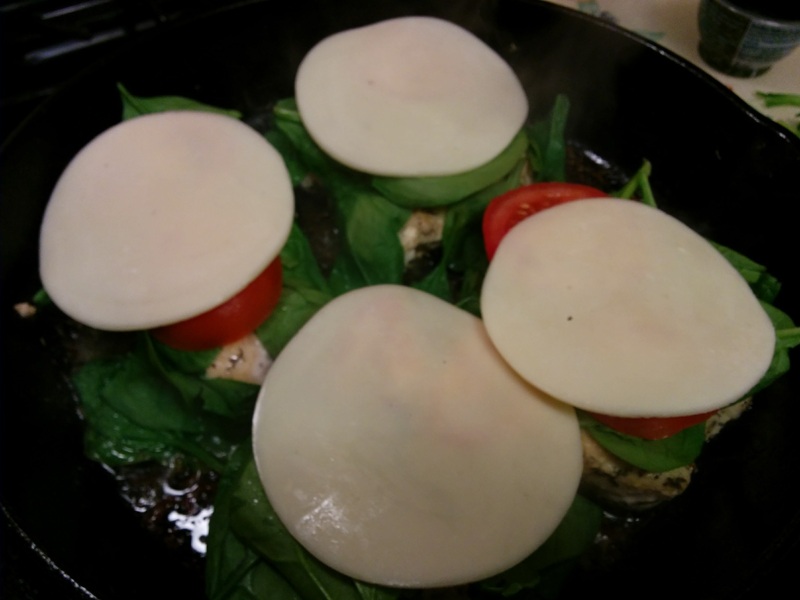 Pound the chicken breast thinner, if desired, but optional. Season breast with salt and pepper. Heat your skillet with some oil or a pat of butter on medium heat. Once the oil heats or the butter melts, put the chicken breasts in and let cook on one side at least five minutes. Then flip breasts over and cover skillet. Cook for another five minutes or so. Flip back over, add a little bit more oil or butter, if needed (you don’t want the chicken to stick to the pan). 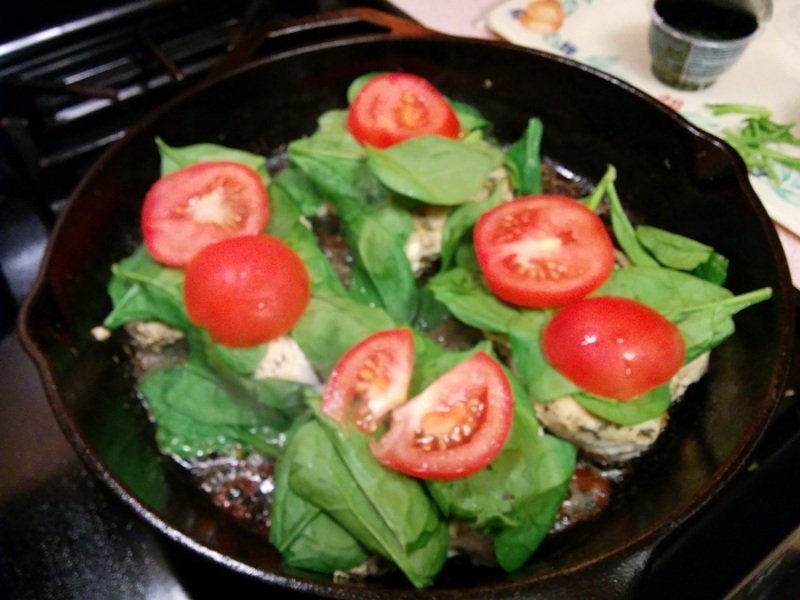 Fresh Basil is so wonderful. Turn off the stove heat. 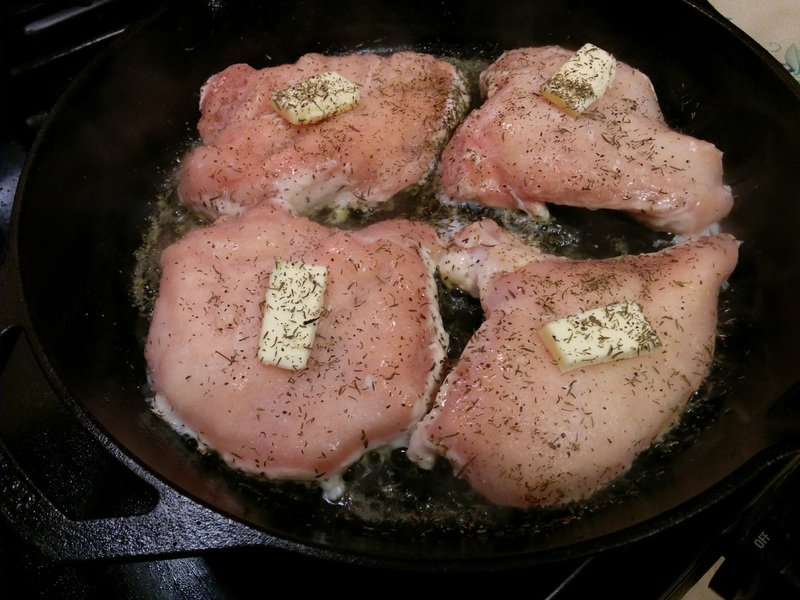 With breasts still in cast-iron skillet, put a spoonful of sauce on the chicken breast and spread around. 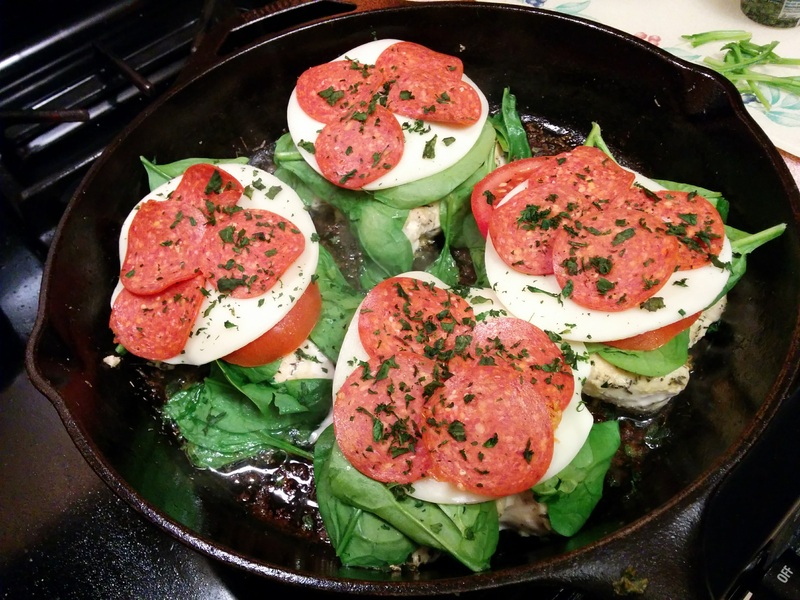 Put on your fresh basil leaves. 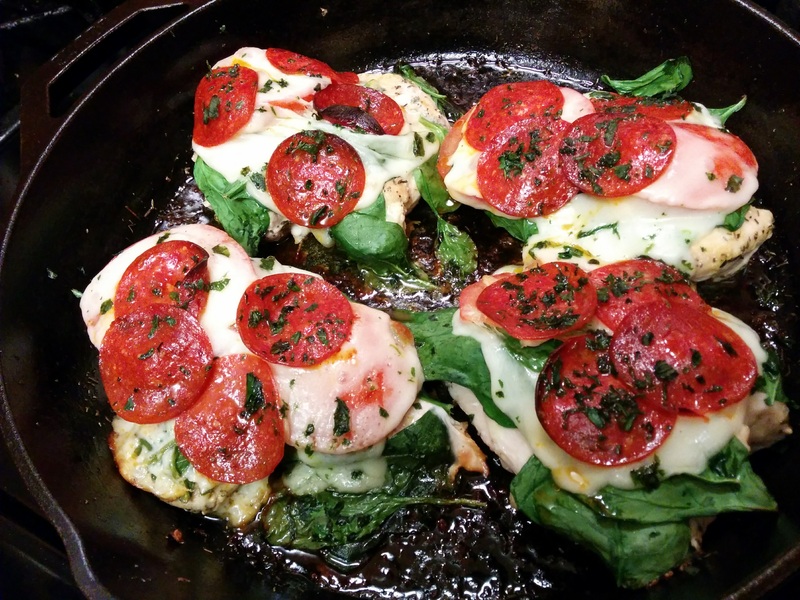 Put one slice of provolone cheese on each breast. Add pepperoni. Sprinkle with dried parsley if desired. 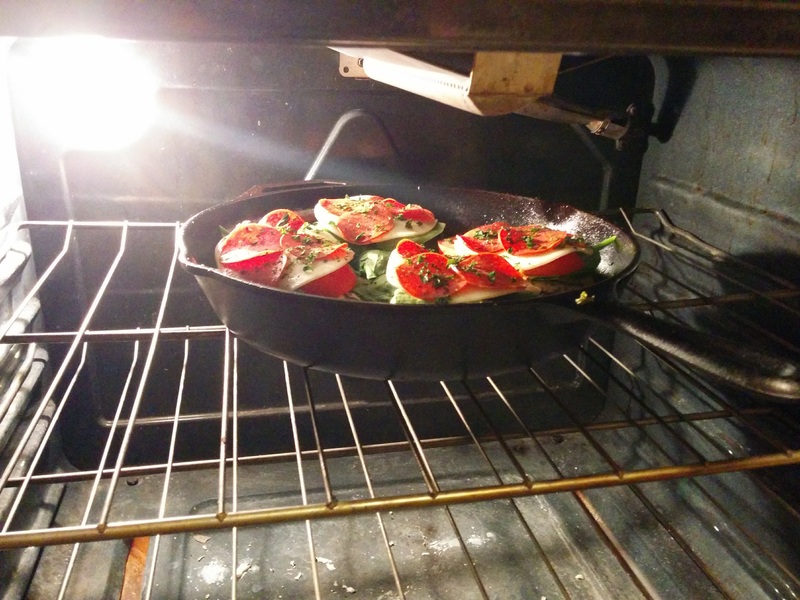 Put skillet in oven and cook for about 10 to 15 minutes. Be sure skillet is in the middle of the oven. 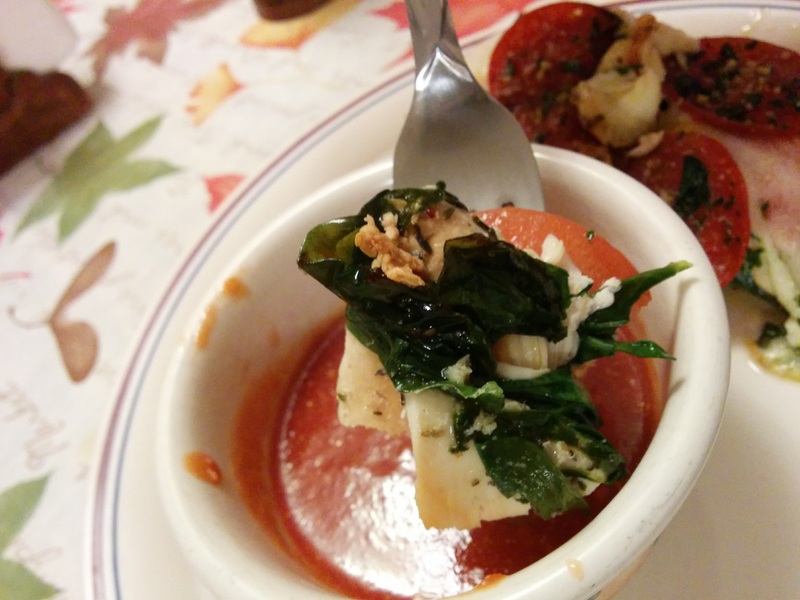 Serve one breast per person with a side of the sauce (like shown above). You can even hand pepper flakes and grated Parmesan to everyone just like at the pizzeria. Enjoy.